OSU believes the arts are integral to its mission of improving lives through high-quality teaching, research and outreach. With that in mind, the university will soon build a nearly $60 million Performing Arts Center that will greatly enhance the study, creation, performance and appreciation of music and theatre. Renowned opera singer Sarah Coburn, an OSU alumnus, performed during "A Night of Orange and Black." 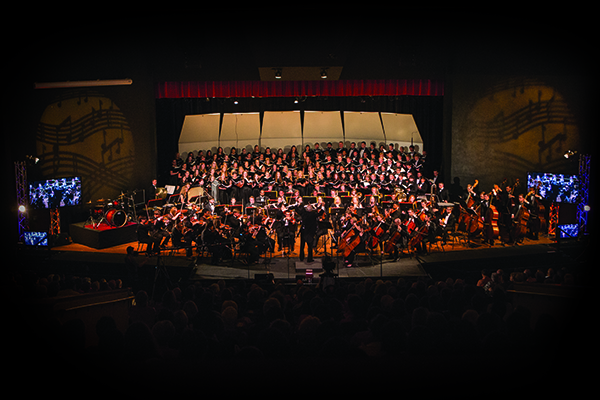 The combined choirs and OSU Symphony performed during "A Night of Orange and Black." "The Seretean Center has served us well for 90 years," Hargis says. "We have all of our theatre and music here." "A new music facility isn't just a contribution to future students; it's also such a contribution to past and current students," Bates says. "As the institution and department continues to excel and build a reputation for excellence, the value of my degree and all those who have come before me will only continue to increase. 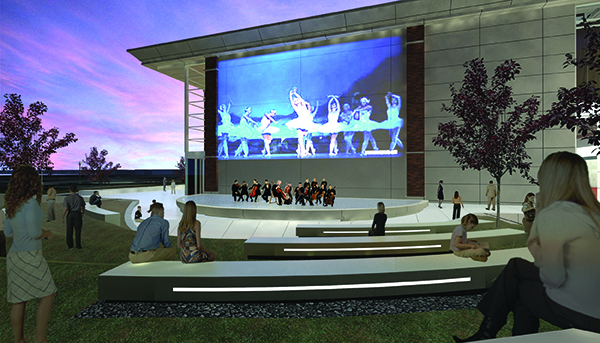 … A new Performing Arts Center will really make OSU shine as America's Brightest Orange."